It hardly seems fair. Just a few weeks ago we were grumbling about a heatwave, and now, here we are, staring Labor Day and the impending gloom of winter in the face. If you've been enjoying your Summer Fridays these last couple of months, we have some suggestions for how to spend the final one of 2013. 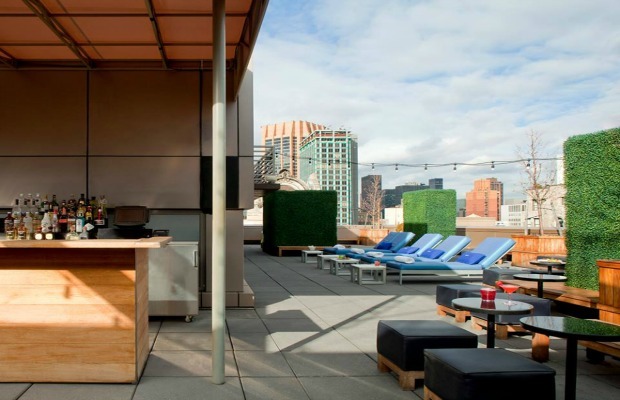 Although we're spoiled for choice when it comes to rooftop bars in New York City, our favorites are those at the Refinery Hotel and Pod 39. You reach the 17th-floor Rooftop Lounge at Murray Hill's budget-priced Pod 39 via a slightly unnerving glass elevator. Up on the roof, you are treated to spectacular city views and the original architectural features, such as brick arches and terra-cotta columns, of this near 100-year-old building that used to house a Salvation Army home. The bar opens at 2pm and offers a cocktail menu designed by Sam Anderson, formerly of Williamsburg's Hotel Delmano, as well as a good selection of beers on tap, and small bites from the hotel's ground floor restaurant, Salvation Tacos. Not long ago, we gave you a comprehensive round-up of New York's best rooftop hotel pools, and how to get in. If you'd rather not pay the, sometimes steep, cover charge, try the rooftop sundeck at the Gansevoort Park Avenue. You get to enjoy the views, cocktails, and ping-pong without the crowds at the pool below. The three-day-long Electric Zoo electronic music festival takes place every Labor Day weekend on Randall's Island and draws a crowd of over 100,000 people. Headlining Friday's line-up will be DJs Danny Tenaglia and Avicii. A ticket for just Friday costs $139, or it's $359 for the whole weekend, which will also have sets by Tiësto, Laurent Garnier, and Diplo. Although it is still in the process of recovery, Rockaway Beach is bouncing back from the destruction wrought by last year's Hurricane Sandy. 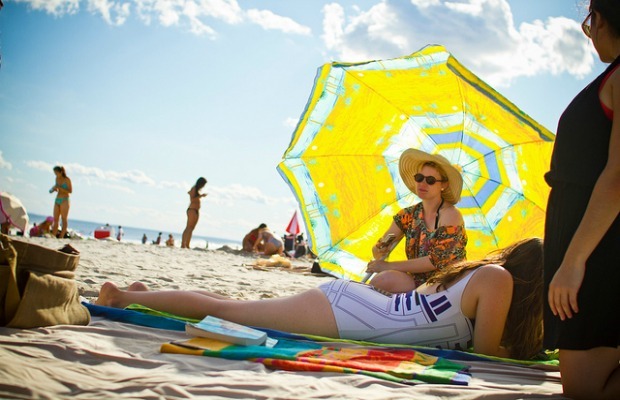 Quieter and cleaner than most of New York's other beaches, Rockaway is less than an hour and a half on the A train from Midtown Manhattan, and yet seems like a world away. Once you're done sunning yourself, and waiting in line for tacos at Rockaway Taco, settle in for a free beachfront screening of Despicable Me – it's one of the last of this year's outdoor movie screenings. If you don't feel like making a nighttime trip back to the city, check into the newly opened Playland Motel, which made our list of New York's Five Hot New Hotels earlier this summer. If you want to get your Labor Day weekend started early (really early), get down to Rumsey Playfield in Central Park (at the 72nd Street entrance) for the final show in Good Morning America's Summer Concert Series. Friday's special guest will be Alicia Keys and the concert is free; no ticket required. The catch? GMA broadcasts live from 7am to 9am and the playfield opens at 6am – access to the show is on a first come, first served basis, so the earlier you get there the better.